UPDATE! Apparently some US intelligence sources are saying that it could have been an IS bomb on the plane and David Cameron has stopped all UK flights to Sharm el-Sheih. I’m just a little sceptical since this news coincides handily with the visit of the Egyptian President to the UK and there is a fairly obvious political agenda. David Cameron is running scared of asking Parliament to vote on allowing strikes against IS. He needs to demonise them further (as if that was possible), before he plucks up his courage sufficiently to push for a vote in Parliament. Kogalymavia Flight 9268 crashed in northern Sinai on 31st October 2015, while travelling from Sharm el-Sheikh to Saint Petersburg. All 224 on board were killed (217 passengers and 7 crew). The aircraft was an 18-year-old Airbus A321-231, # 663. There were no explosive residues found, so it is unlikely to have been due to a terrorist bomb on board. It was flying so high (9,400m) that it is extremely unlikely that some terrorist or IS group – based in Egypt – had the wherewithal to have shot it down. Now it seems that the investigators are narrowing the cause to the tail, or an explosion in one of the two IAE V2533- A5 engines powering the A321 Airbus, or both. Swedish Radio: The Egyptian accident investigators initial conclusion after analyzing the Russian aircraft black box, is that an engine may have exploded, according to several international media today. The search area for wreckage has also been expanded from 20 to 40 square kilometers. It also seems from the debris that the tail broke off. This aircraft had had a previous accident where the tail was damaged and had to be repaired. Whether an engine explosion caused the tail to break off, followed by a cascading series of other events, or whether the tail fell off first and caused the engine to try and operate in some forbidden zones and then explode, will be surely something that will exercise the investigators. CNN: The distance from the tail to the rest of the debris could be telling — especially because the tail was previously damaged, CNN aviation analyst Mary Schiavo said. “To me, it says (the tail) exited the plane before (an) explosive event and before the fire engulfed the plane,” she said. The same plane’s tail struck a runway while landing in Cairo in 2001 and required repair, according to the Aviation Safety Network, which tracks aircraft incidents. At the time, the aircraft was registered to the Lebanese carrier Middle East Airlines, registration records show. Schiavo, a former inspector general for the U.S. Department of Transportation, said something could have gone wrong with the repair work after the tail strike. She said she once worked on a crash where a tail strike that had not been repaired well brought down a plane almost two decades later. “A bad repair is like a ticking time bomb, because once it’s on the plane, it stays with the plane forever,” she said. The engine manufacturers will be hoping that it was not an engine which exploded first and caused a whole series of catastrophic events. The V2500 is a two-shaft, high-bypass, turbofan engine which powers the Airbus A320 family among other aircraft and is manufactured by International Aero Engines which is a joint venture between Pratt and Whitney, Japan Aero Engine Corporation (JAEC) and Motoren- und Turbinen-Union (MTU). 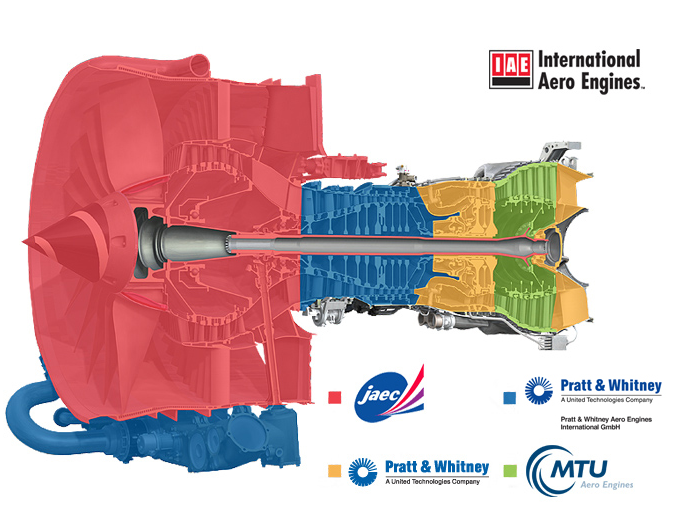 The V2500® turbofan is the most technologically advanced engine in its class. IAE’s shareholders collectively invest billions of dollars each year into the research and development of new technologies that are ultimately available to IAE. Each IAE shareholder contributes an individual module to the V2500 engine, an arrangement that enables their engineering teams to focus on continuously refining their respective module. IAE’s employees are seconded from the shareholder companies across a range of business functions including sales, marketing, engineering and product support. The V2500 first entered service in 1989 and comes in a number of models (V2500-A1, V2500-A5, V2500-D5, V2500-E5), producing between 22,000 and 33,000 lbs of thrust. It is currently used on Airbus A319, A320 and A321 Airbus Corporate Jets (ACJ), Boeing MD-90 and Embraer KC-390 aircraft. It is early days yet for the investigation, but there is some relief that this was probably not a terrorist act. On the other hand, if it was due to an engine explosion, it could ground a lot of aircraft.